The Ahnu Sugarpine Low Waterproof Hiking Boots tackle dirt, mud, and rocks while still looking like casual sneakers back at the lodge. 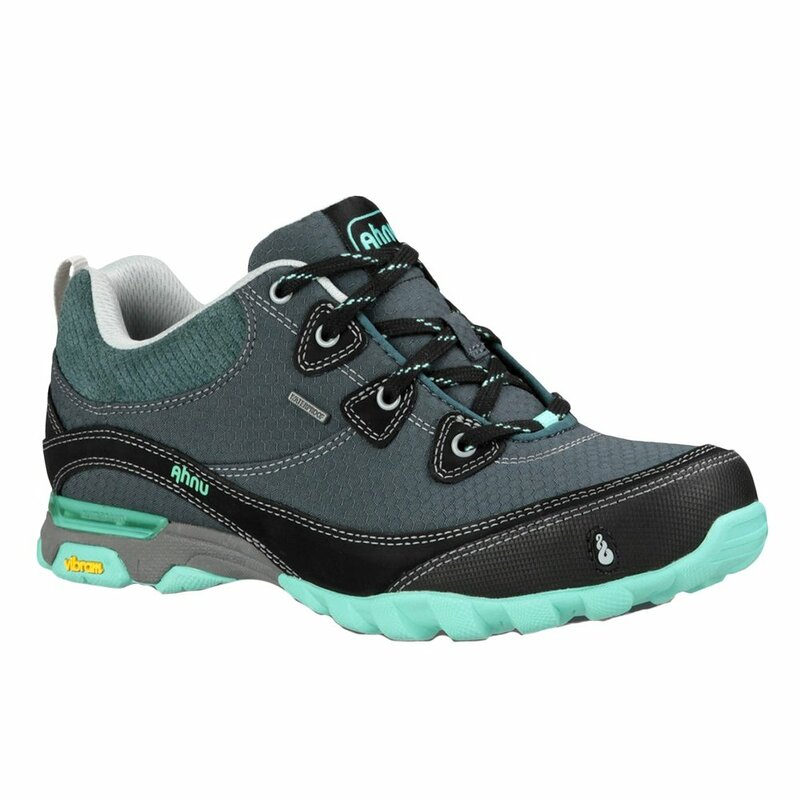 This lightweight, waterproof-breathable hiker features Ahnu’s Numentum™ Hike technology for a neutral position and stable hiking. The Vibram® rubber sole keeps you grounded on wet, dusty, and steep ground. Self-cleaning lugs maintain traction and leave dirt behind when you step inside. And a light EVA midsole puts plenty of cushioning and support underfoot. Sometimes I want a sturdy waterproof shoe without the high ankle for walking around the city. I love firm insoles on these Ahnu Hiking Boots, have realized how much better firm support is than cushy shoes (not to be confused with shoes that feel hard because the soles are thin and make your feet pound pavement). These don't look super outdoors-y either so I don't feel like a tourist. I'm tempted to wear these for golf too on our walking-only course. I can even shower in these! Would definitely recommend going up at least 1/2 size. Not sure if it's the case with these, but sometimes waterproof shoes run smaller because of the extra layer waterproof lining. Fun colors. I learned I have narrow ankles/heels and my heels feel a little loose in these but don't physically slip out like with other brands (such as Lowa). Extra lace holes would get a more secure fit. Quick processing anf shipping from Peter Glenn.